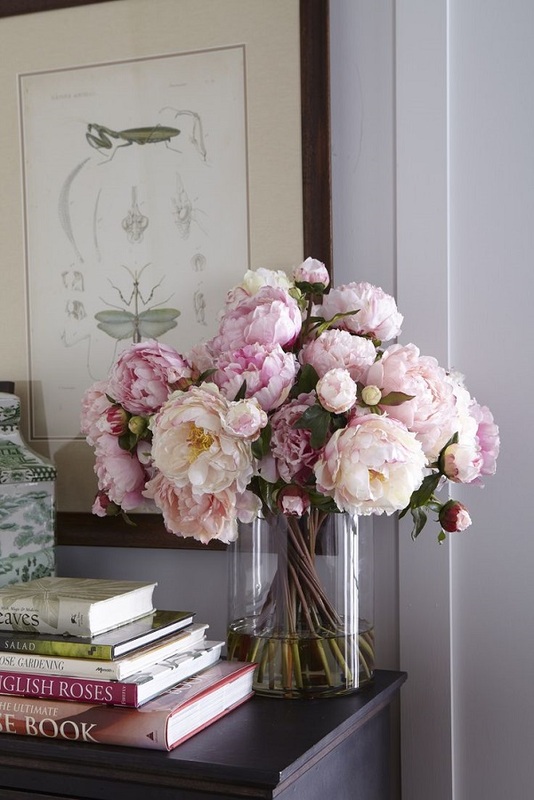 Sometimes I get a beautiful and fresh bunch of peonies, dahlias or tulips - with a few buds still firmly closed - in hopes they will blossom any day now, but a few days later instead of opening up fully, they start wilting. Hmm, so after a bit of research, I took Carly's advice and now I always encourage my freshly bought bunch by cutting its stems on an eagle and then placing them in a glass filled with warm water for just a minute before moving them to a vase filled with cold water. If you do that your fresh blooms will open to their maximum size. It's amazing! I learned this trick from a friend of a friend who is a florist and swear by it!